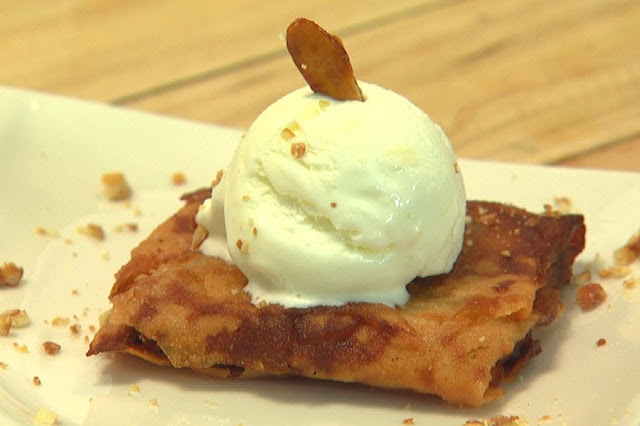 Transform the traditional turon into a Fil-Am treat of turon a la mode. Turon is a dessert version of spring rolls filled with saba or plantain bananas, jack fruit and a sprinkle of brown sugar then fried until golden brown. 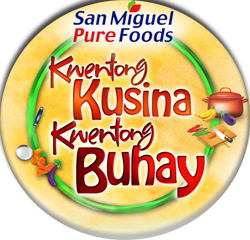 Serve it with Magnolia Best of the Philippines Ice Cream - Kesong Puti as an elegant finish to any meal. 1. Add one scoop of ice cream on top of the turon. 2. Sprinkle with crushed glazed pili nuts.